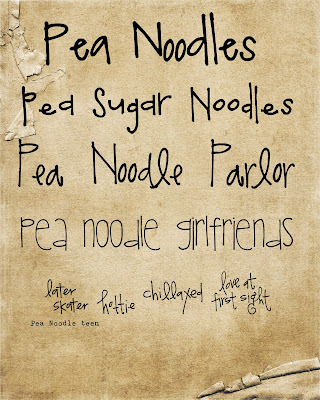 I am the Noodles girl! Awesome fonts! I've downloaded a couple from Kevin and Amanda, but I've never submitted my own :-) Thanks so much for sharing at The Fun In Functional! These are SOOOOO cute!! 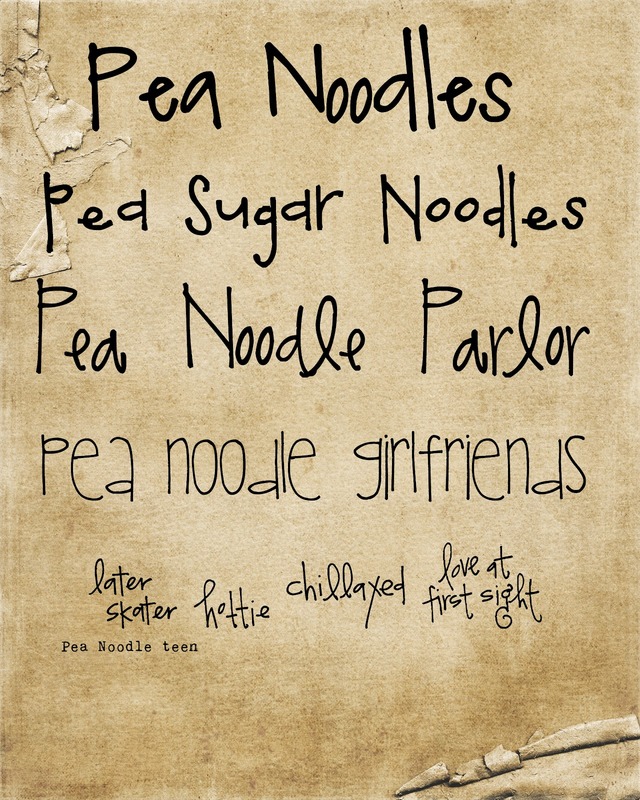 Loving the 'girlfriends' one...such a fun and playful font. Would be super delighted if you could link up with us over at Mop It Up Mondays: http://www.ishouldbemoppingthefloor.com/2012/07/mop-it-up-mondays-24.html. These are fantastic! I live for a good font! Thanks for the fonts! I was looking for something fun for a sign and these are perfect! Thanks for sharing your handwritten fonts. They are awesome! AWESOME!!!!! post I never saw this kind of work really you do a nice job. very interesting fonts you shared.